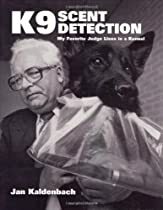 Renowned K9 trainer and handler Jan Kaldenbach delivers a concise, informative guide to the training and use of K9s for scent detection in police investigations. With lots of practical advice and handy training schedules, Kaldenbach gives trainers the knowledge to successfully train K9s in scent detection for tracking, drug detection, and suspect discrimination. He describes the right way to use scent detection dogs in a variety of operational situations.This guide also contains information on how dogs perceive odors, how their noses function, the qualities that make a dog suitable for scent detection work, tips for handlers to keep in mind, and how dogs are able to track humans. Each chapter includes detailed diagrams and illustrations.